So far, 2016 has not disappointed any rap or hip hop faithfuls. We’ve been spoiled with projects from Kanye West, Rihanna and Future. 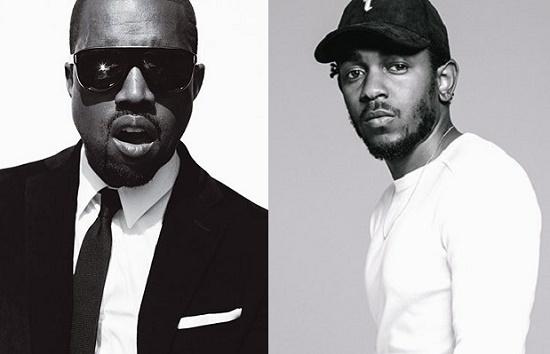 Now you can add Kendrick Lamar to the list of artists that have released new music. K Dot’s new album is a collection of projects he had been working on throughout 2013, 2014 and 2016 which are all unedited. It’s appropriate considering the name of the album is untitled unmastered. Another intriguing aspect of the album concerns the song titles. All of the songs are formatted as “untitled” with a number beside it and the date right after that. This is completely unconventional but then again, Kendrick has always been known for his unorthodox ways and definitely doesn’t stray away from in this release. Unlike me, your host Manny Rao, if you’re a fan of Kendrick, odds are that you’ll like this album as you’re probably accustomed to his style. I personally don’t like the album because I don’t like the uniqueness of Kendrick’s style. He’s constantly changing his voice, is sometimes offbeat with his tracks and wastes a lot of track time with background noise such as conversations. I appreciate creativity, however, this is too strange for me. While Kendrick’s last album, To Pimp a Butterfly, was very jazzy and too strange for some hip hop fans to appreciate the album. untitled takes a different approach than TPAB as it’s more wavy. Not a lot of similarities between TPAB and untitled except for the unconventional ways of Kendrick Lamar. It seems as though Kanye West cannot stay out of the spotlight, or at least, TJ Mroz and myself can’t seem to leave the creative genius alone. Fresh off the release of The Life of Pablo, it has been rumoured that Kanye has a different version of Wolves, featuring Drake and Bjork. If that’s the case, this guy is eagerly awaiting the release of that alternate version. On another Kanye related note, it appears as though he’s been working with IKEA. While the nature of the collaboration has yet to be made official or public, I speculated that it would make the most sense for Kanye-inspired furniture to be at the center of discussions. Reason being, Kanye has announced that his upcoming summer album will be titled Turbo Grafx 16… at least for now. In case you’re unfamiliar with the title of Yeezy’s album, it’s named after an old Japanese video game system that was popular because of it’s shooter-heavy library. My connection has to do with where I am whenever I’m gaming and that’s on the couch. But, Kanye is so unpredictable, it’s always hard to tell. A week into his 90-day probation period and Meek Mill is already itching to get back into the studio. Meek has apparently filed to appeal his restriction from making music. While I’m not a huge fan of Meek, it would be interesting to see what he has to release whether he continues to engage in his ongoing (?) feud with Drake or takes it in another direction. Regardless of what happens with Meek, I doubt he’s gonna get the green light to produce anything. The guy has had probation issues dating back to ‘08. That’s almost a decade ago, not to mention, he was begging not to be put in jail during the last hearing which took his music privileges away. Meek has a song entitled Pray For ‘Em which is exactly what he needs to do if he’s to get his life back on track.